Join the journey of a lifetime. Free and family friendly! Join volunteer naturalists along the Cedar River to see and learn about salmon. 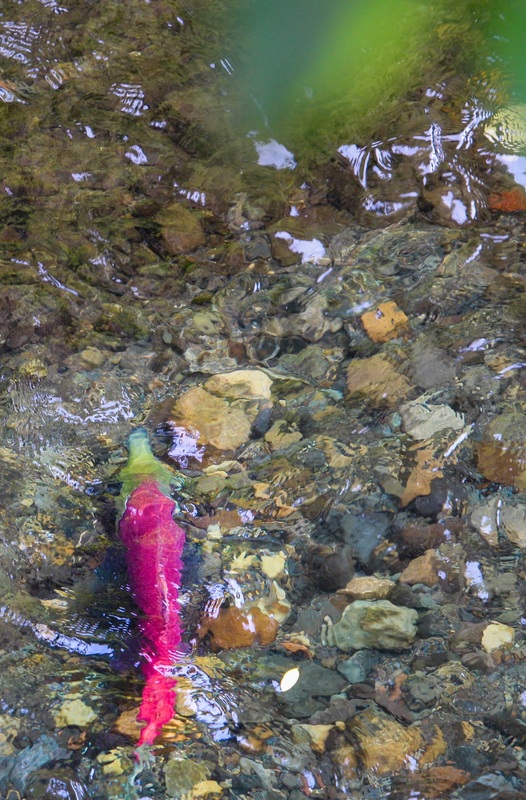 What do salmon need to thrive? Why is clean and cold water so important to their survival? Discover how you can help to keep these special creatures coming back to the river where they were born. 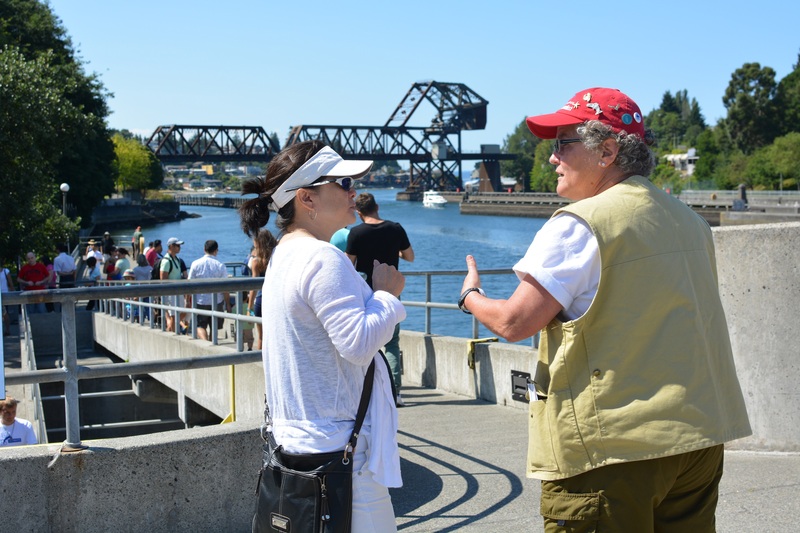 See the salmon migration and learn about the epic journey that takes place every year as salmon swim from the ocean, through the Ballard Locks, into Lake Washington, and up the river to spawn. 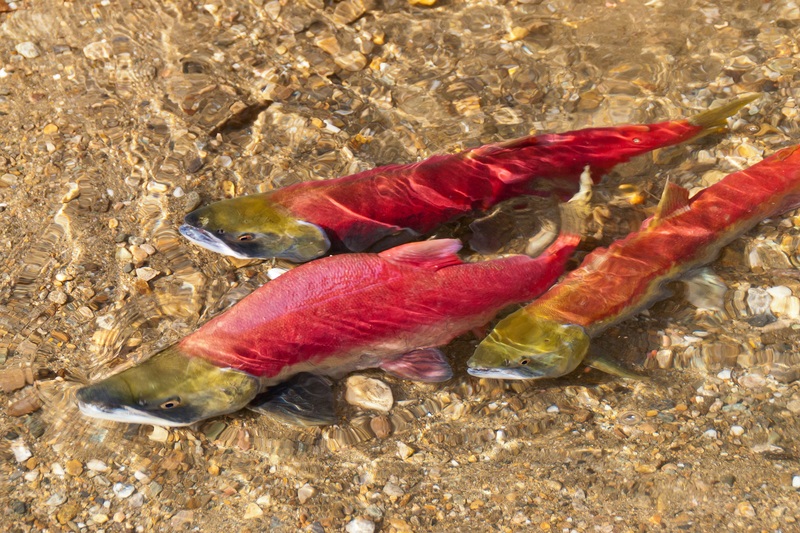 The Cedar River hosts Chinook, sockeye and coho salmon among other fish species. 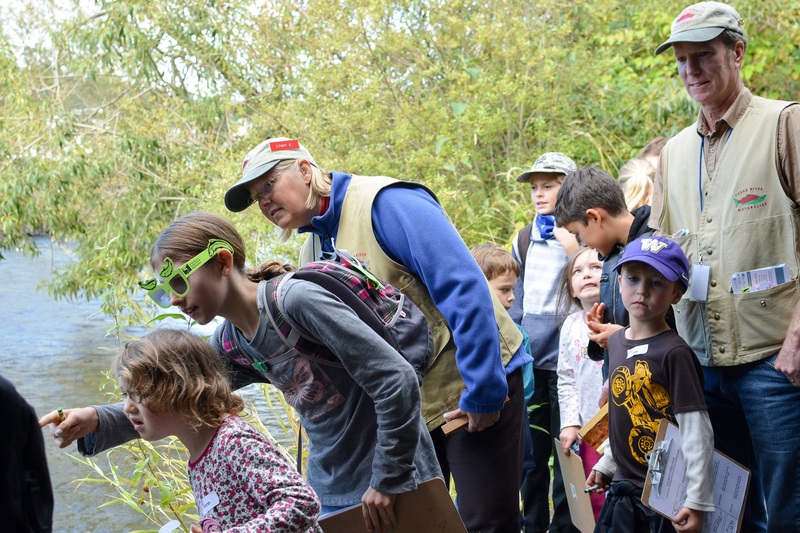 Fall weekends: See spawning salmon at one or all five locations along the Cedar River in the Renton and Maple Valley areas on October 6, 7, 13, 14, 20, 21, 27, and 28, 11am–4pm. Sites include the Renton Library, Cedar River Park (behind the Renton Community Center), Riverview Park, Cavanaugh Pond and Landsburg Park and Dam. New this fall: We are adding additional weekday programming at the Renton Library on the following Wednesdays: October 3, 10, 17 and 24, 10am–2pm. Interested in becoming a Cedar River volunteer? View our flyer. For more information about registering to become a volunteer naturalist, please email salmonjourney@seattleaquarium.org or call (206) 792-5851. Avoid pesticides. Use native plants and learn about "friendly" insects. Conserve water in your home and yard. Enrich your garden with compost rather than chemical fertilizer. Sweep your sidewalks and driveway instead of hosing them down. Fix oil leaks. Recycle used motor oil. Drive less. Properly dispose of pet waste. Fence larger animals away from streams. Plant a tree. Build a rain garden. These actions help control and clean water runoff.